March 2011. The Northern Pacific. We had finished our transit off the Australian coast a couple of weeks prior and were steaming North to the port of Yokohama, just outside Tokyo. It was around 1500 local time, and I was entering the last hour of my bridge watch. My biggest concern in the world at the time was a troublesome cargo of untanned cow hides that were leaking fat onto the deck near Hatch 1. Then the beeping started. Earthquake off east coast of Japan. Significant tsunami wave. All ships exercise extreme caution in navigation. A year earlier, I was 18 and suffering from the academic burnout that affects so many kids who did well early in school. The financial crisis was in full swing, Obama was president, and I had decided to run away to sea. It was a better time. Some context: I grew up near Manchester, England. Not exactly a classic seafaring town, but I had been raised on my Dad’s tales about his adventures in the Merchant Navy, travelling the world by cargo ship, seeing exotic places, and getting into mischief that my mother would kill him if she knew he’d told me about. Not finding the thought of more years of education appealing, I plumbed into something weird. I had offers of cadetships with multiple companies, and got to take my pick. I went for the highest profile company that offered me a job: the Danish conglomerate A.P. Moller Maersk of Captain Phillips fame. 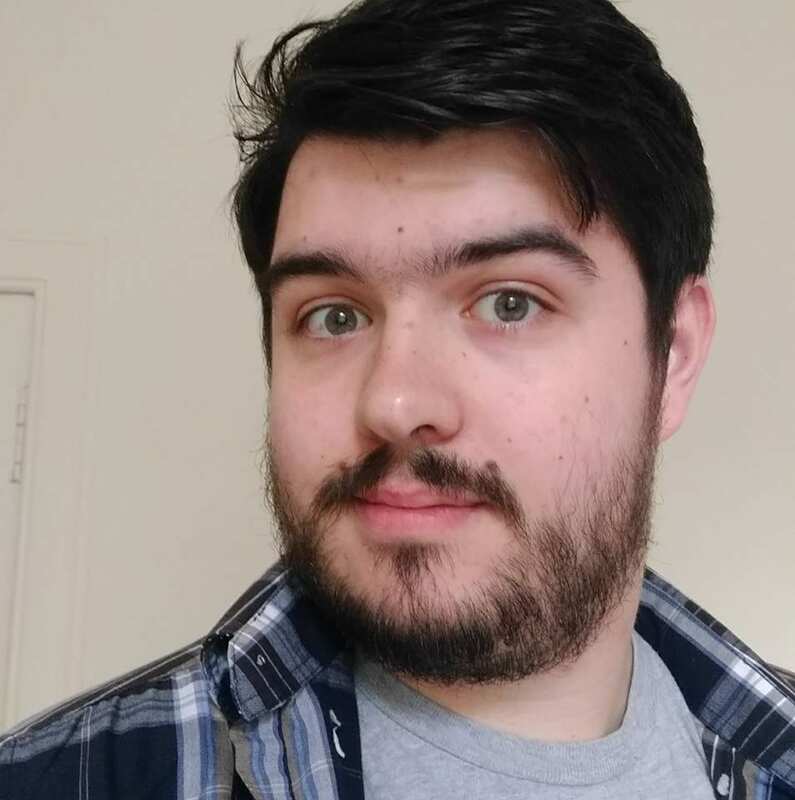 I spent a few months in Southampton learning the basics so I wouldn’t be entirely useless aboard a ship, and then I was told I would be flying to Singapore to join the Maersk Gairloch, a mid-sized container ship serving a route around the Far East and Australia. I had been an avid gamer since the days when I would watch my dad play the original Tomb Raider games on the family PC. I wanted to join in, but since I was too young to know what I was doing and my dad probably feared I’d damage the expensive machine he dad sat me on a cardboard box in front of the monitor with an old motorbike helmet on my head, turned on the Stars screensaver, and left me to it. Gaming went deep, back into my toddler years, and I’d be damned if I was going to give it up just because my chosen career involved strict limitations on living space and copious amounts of salt water. The Christmas before I left, my parents gifted me with a laptop and I hit my first roadblock. It was a mid-range Dell designed for watching movies and sending emails more than playing games. I was sincerely grateful for the gift, regardless of its horsepower. I could finally play the games I’d been itching to try since my Xbox 360 died on me. I quickly found that the latest games I’d been keen to play didn’t work. Even Dragon Age: Origins would be too much for my poor little email machine with its onboard GPU and hilarious lack of RAM. To my rescue came a backlog of even older games that were nevertheless beautiful in my eyes. Half-Life 2 and Portal were there to scratch my itch for narrative. 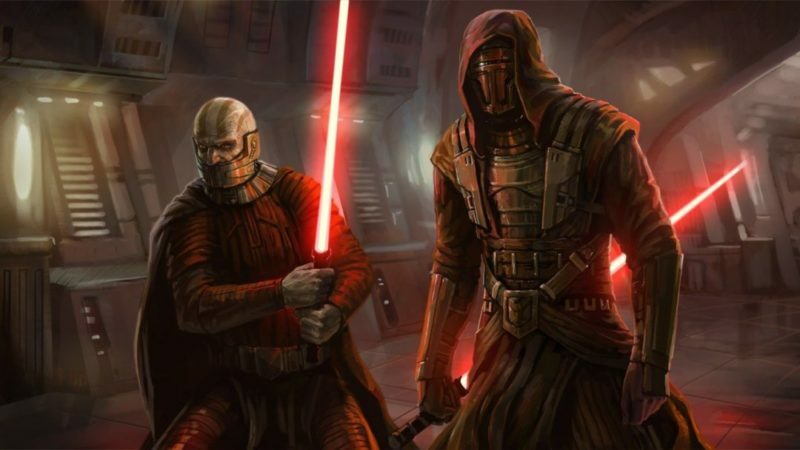 The Star Wars: Knights of the Old Republic met my minimum dietary requirement for RPGs. I tried and failed to get Homeworld 2 working, but after some digging in Steam I found Star Wars: Empire at War, which became my new go-to for space RTS. 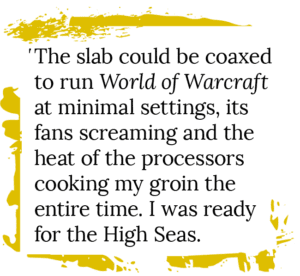 Perhaps most importantly, the slab could be coaxed to run World of Warcraft at minimal settings, its fans screaming and the heat of the processors cooking my groin the entire time. I was ready for the High Seas. As it turned out, the merchant navy of today is not the 24/7 floating party boat my dad described to me as a child. Not that I’m accusing him of lying, it’s just that in the 30 years since he’d left the sea to be with my mum, the industry had hit upon such innovative ideas as “being sober while at work” and “cutting costs by cutting crew.” Denied the adventure I had been craving in real life, I sought it in the digital locals of City 17, the Undercity of Taris, and the wide world of Azeroth. Early on in training, I had wondered about the internet situation. Would I be living in technological isolation aboard ship, communicating with home by intermittent letters and dashing ashore at every port to find a payphone so I could call home and wax lyrical about the wonders I’d seen? As it turns out, no. The fleet had recently been refitted with some basic satellite internet, and the ships all had wifi now. I would have access to the one thing worse than no internet: slow, restrictive, and unreliable internet. The ship had roughly 24 gigabytes per month allocated to it, which seemed like plenty at a time when my phone contract was 500 megebytes. 3GB were reserved for essential ship functions, which meant there was about 1GB per month for each of the 20-or-so crew onboard. Speed and bandwidth was sub-dial-up. One person trying to Skype their family back home could leave the rest of us starved for bandwidth. Someone trying to watch YouTube could burn up the entire ship’s allocation in a week and leave us internet-less until the data reset. There was no way to track individual use, so it was an honor system all around. That was how I came up against my first problem. After a couple of hectic days helping the ship finish loading in Singapore and setting course for our next port, I finally found a few hours to myself. I grabbed a drink and some leftovers from the galley, and fired up the laptop. Steam tried valiantly to connect to its servers over the struggling wifi connection. It seemed to be getting stuck in a loop, having enough connection not to give up and offer the offline mode option, but not enough to actually connect. I tried disabling my network altogether, but circa-2010 Steam didn’t seem to get the message. By the time we hit Australia, I was getting antsy. I had only been a few hours into Portal before we shipped out and was dying to know what happened next. I finally got some shore leave when we docked at the Port of Tanjung Pelapas, Malaysia. We came into port right at the end of my watch, and finished mooring just in time for my next watch to start. I’d been awake for 26 hours, but I was young, full of energy, coffee, and a pressing need to see what I’d missed in WoW. I packed up my laptop and headed into what passed for civilization. This was deep in the Malaysian countryside, not the bright lights of Kuala Lumpur, and there was nothing outside the port. There was a bar, a small shop for essentials, and an internet cafe. I bought myself a couple hours of wifi access and a beer that I had to hide from the ship’s officers, and settled in. It took about 40 minutes, but I finally got Steam online. Immediately it started downloading updates at an excruciatingly slow pace. I should have killed the updates and switched to offline mode right away, but rather optimistically I decided to let it update. Who knew when I’d next have the chance? Our week-long voyage to Fremantle, Australia was a dream. I started to feel like a real sailor. I “Crossed the Line,” an ancient ceremony to mark my first crossing of the Equator, welcoming me into the Domain of King Neptune. Steaming through the Java Sea, I saw active volcanoes spewing smoke into the sky. Down the west coast of Australia, I saw water spouts dancing in groups, and in a Galaxy Far Far Away, I redeemed Revan, destroyed the Star Forge and saved the Republic. It was a good week, is what I’m saying. That’s when the Tsunami came. The captain spent much of the day in his office communicating with the company head office in Copenhagen. We were ordered to cut speed and idle until further notice, maintaining just enough speed to keep our rudder effective. Three days went by before the Port of Yokohama finished testing their cargo cranes for earthquake damage and we were cleared to resume our course. I spent much of those three days plotting the various navigation warnings on the charts which included debris, lost cargo, and moored ships adrift at sea. The Navfax had been so busy we’d had to replace the paper reel twice, and our charts of the coast surrounding Japan looked like a Jackson Pollock painting. Now we were going to brave that gauntlet of navigational hazards in a ship more than a quarter of a kilometer long with a turning circle measured in miles. It was a team effort in the truest sense of the word. Those of you who have played Guns of Icarus or Sea of Thieves understand the experience of being part of a 4-6 person crew coordinating to bring a ship home safely through trial and tribulation. I manned the helm while the captain himself took direct command of the ship. We had two crewmen on the bridge wings on dedicated lookout, and the second officer was supporting the captain. I can tell you that those games really do capture the feeling of accomplishment that comes when you manage to coordinate on that level to dodge rockets, cannonballs or capsized fishing boats. The lookouts called out dangers and bearings, the second officer plotted them and identified a safe path, and I steered us through a safe course under the direction of the captain..
As we approached the entrance to Tokyo Bay, we slowed and took aboard the harbor pilots. These experienced former captains knew the approaches to the Bay by heart, and their job was to bring foreign ships with unfamiliar crews into their home port. This was normally a cheerful event. 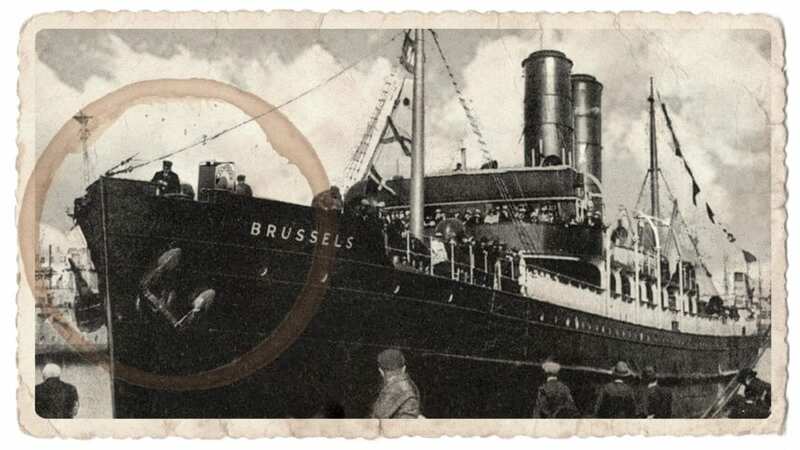 We would welcome them aboard, offer them refreshments, and trade stories as they brought us into port. Not today though. Today, when I met the two pilots at the top of the ladder that took them from their small boat, they were haggard and quiet. They had clearly had quite a day, and it was not likely to get easier. They had to bring us through the final crucible of Tokyo Bay. Tokyo Bay was sheltered from the direct strike of the tsunami by the peninsula of Chiba Prefecture on its eastern side, but that didn’t mean it had been spared the chaos. The surge of water had flooded into the bay, breaching sea walls and adding more debris to the flotsam washed in from outside. One of the busiest bays in the world was now a sump collecting the wreckage of shattered livelihoods. This was the scene I found myself steering our ship into. All business, the pilots watched carefully, giving out helm orders that I followed without question, occasionally deliberating quietly in one corner of the bridge. On our port side, a house drifted by. It was almost totally intact and submerged up to its gutters. After all that, the actual process of docking proved fairly normal, perhaps even boring. Once we passed the breakwaters we were clear of large debris and a pair of tugs brought us alongside with ease. We put out our mooring lines and made ourselves secure. While the nation around us was working to repair its damage, we went about the mundane task of offloading cargo containers, albeit with the added complication of having to scan each one with a geiger counter. The earthquake that triggered the tsunami had also caused damage to the reactors of a nearby Fukushima Daiichi nuclear power plant. Fukushima might now be considered a minor nuclear disaster, but at the time I was there, there was a real fear that it might go into full meltdown. In addition to carefully checking the cargo coming aboard for radiation, we were also setting up our contingency plans. Fire axes were placed in lockers close to the mooring decks. If the plant went into meltdown and a plume of fallout came our way, we could quickly cut our lines and proceed out to sea as fast as we could. Our engineers worked double shifts to keep the engines turning over, ready to fire up at a moment’s notice. We moved supplies from one of our lifeboats to the engine room just in case the wind and tide were against us and we couldn’t escape . If all else failed, we would set up camp in the lowest part of the ship, surrounded by steel plates and ocean water, with every air vent closed, and hope for the best. 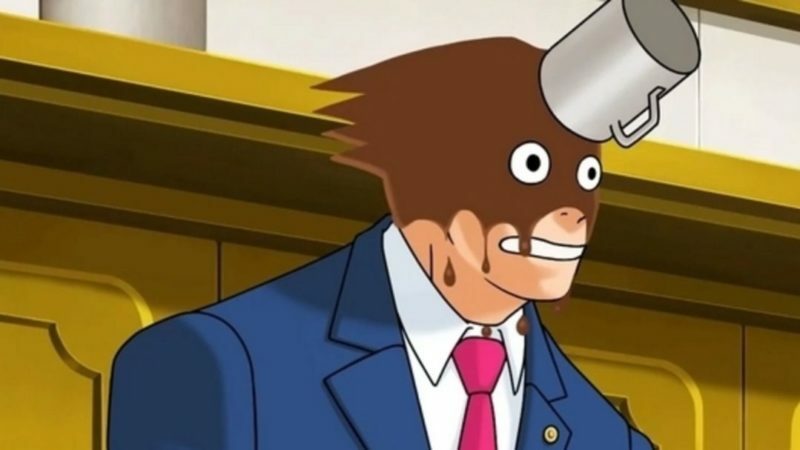 Although that never happened, there was real fear in the air that day. The crew was edgy, keeping to the interior of the ship whenever possible. One of my crewmates hadn’t called home for a few days and somehow a rumor had started that he had been lost overboard during the tsunami and a collection was organized in his hometown to help his confused mother. Almost every local I saw was wearing a dust mask. We worked with the spectre of death looming over us like the proverbial Sword of Damocles The memory comes back to me when I see a radstorm coming in Fallout 4. Despite the doom and gloom, I experienced a moment when I realised the true power of video games. I had been so busy since that fateful Navfax that my online adventures had ceased. It also seemed wrong to enjoy something so frivolous during such a serious time. That changed when I was doing a round of the ship checking the mooring lines, passing the geiger counter around, and generally tightening things that weren’t meant meant to move (and spraying WD40 on things that were). As I climbed down the ladder to the aft mooring deck, I heard group laughter — a noise I hadn’t heard since we arrived. 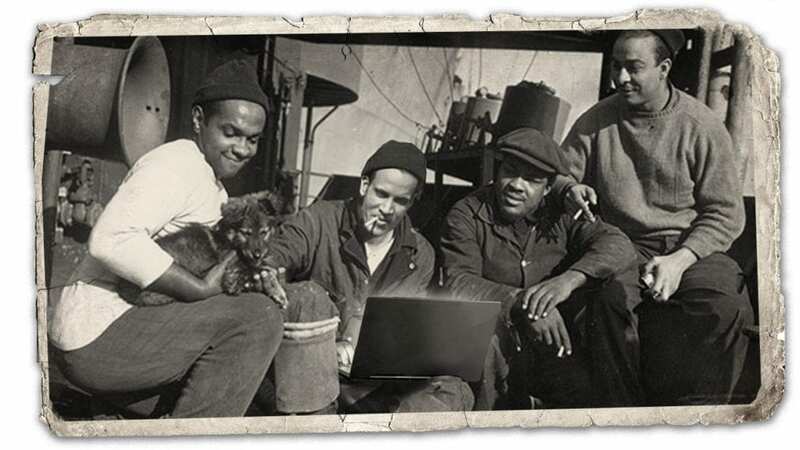 In a corner, out of sight of their foremen, a group of half a dozen dock workers had set up a small camp. They used spare coils of mooring rope as seating and one of the massive winches gave them shelter from the chilly wind. 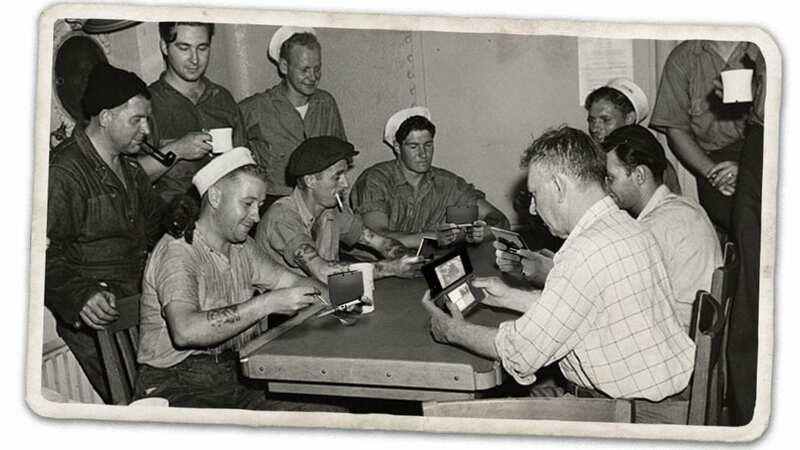 One was preparing something in a pot on top of a camping stove and the others were gathered in a circle, each with a Nintendo DS, clearly engaged in a serious contest of skill. They were laughing, trading verbal jabs, and alternately cheering or groaning as one. I don’t know what they were playing. Smash Bros, Mario Kart, something else entirely? 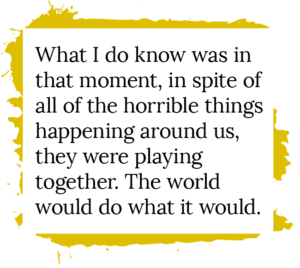 What I do know was in that moment, in spite of all of the horrible things happening around us, they were playing together. The world would do what it would. The plant would melt down or it wouldn’t. Nothing any of us could do would change that. They stopped suddenly when the cook noticed I’d spotted them, perhaps afraid they were about to be reported for slacking off. I smiled, and waved a hand to indicate they could go back to it. When I walked back to the cargo office, the chief mate asked if I’d seen any of the dock workers aft since their boss was looking for them. I told him no, and that night, I fired up my laptop again and spent a joyous evening adventuring.